, son of the preceding, and an able physician and antiquary, was born at Paris, Feb. 2.i, 1633. 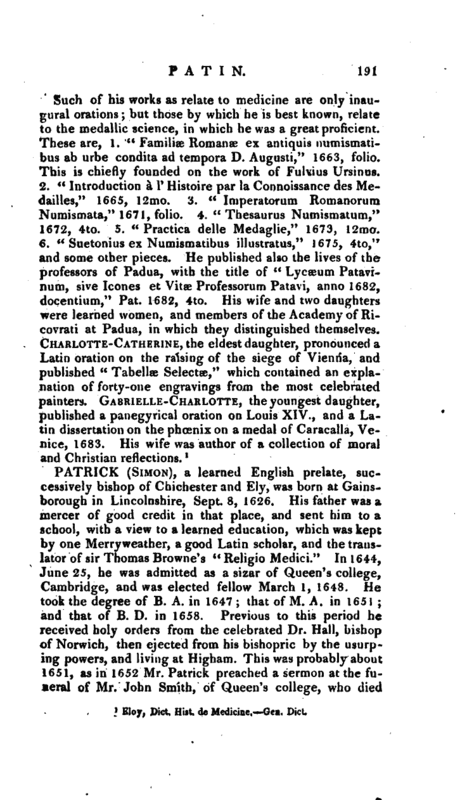 He was educated with great care by his father, and made such surprizing progress in his studies, that at the age of fourteen he defended Greek and Latin theses in philosophy, with the greatest applause in an assembly composed of thirty-four prelates, the pope’s nuncio, and many other persons of distinction. 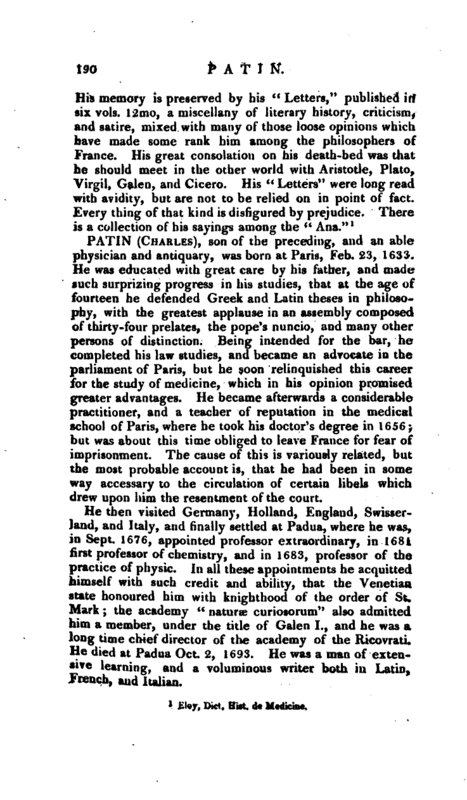 Being intended for the bar, he completed his law studies, and became an advocate in the parliament of Paris, but he soon relinquished this career for the study of medicine, which in his opinion promised greater advantages. He became afterwards a considerable practitioner, and a teacher of reputation in the medical school of Paris, where he took his doctor’s degree in 1656; but was about this time obliged to leave France for fear of imprisonment. The cause of this is variously related, but the most probable account is, that he had been in some way accessary to the circulation of certain libels which drew upon him the resentment of the court. 1 Eloy, —Dict. Hist. de Medicine.Gen. Dict.